Some of you may already know what I am going to say here. But I am going to back into it anyway. 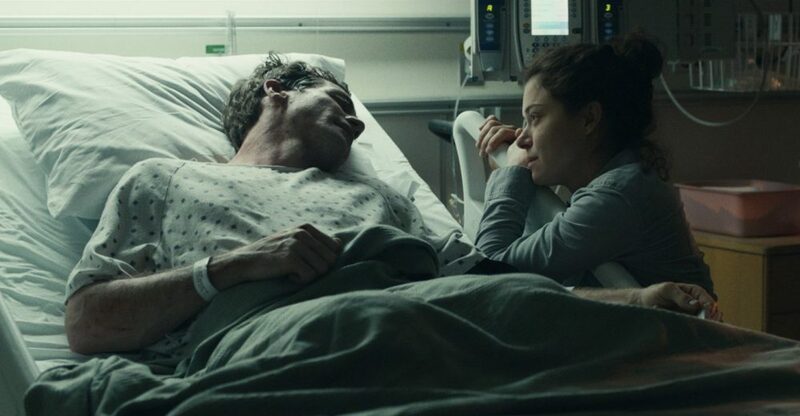 STRONGER, the new Boston Marathon bombing movie starring Jake Gyllenhaal and Tatiana Maslany (from the dearly departed and sorely missed Orphan Black) is by most definitions a solid movie. The acting is good, with appropriately crushing performances by Maslany and a wheelchair-bound Gyllenhaal. The true story is as effective as you expect it to be, that of bomb victim Jeff Bauman (Gyllenhaal) as he fights to regain hope after losing both his legs in the blast. Maslany plays Erin, his former ex-girlfriend whose love for him is rekindled as Jeff is forced to reevaluate his priorities and his own self-compassion. It's inspiring, exactly the kind of story that Hollywood loves. Another thing Hollywood loves, though? Stories about Boston through the eyes of a white man. I mean, we couldn't even get a white woman victim? I saw countless women impacted by what happened. None of them wrote books like Bauman's? Also, of alllll the people of color who actually have won so many of these marathons, none of their stories are worth telling? I'm just over Hollywood whitewashing the city (my native town) and portraying it as though no one else but white men live there and only their stories matter. It further perpetuates what has become a pervasive narrative of racism tied to the city (marginally portrayed in these white movies, still with no people of color). I know this a Hollywood issue, what with its infatuation with white male stories and all. But it seems particularly centered in this location. Of course, it doesn't help that Matt Damon, Mark Wahlberg and Ben Affleck have become power players in the industry, and they seem to all be determined to portray Boston in this homogeneous way. It's cool that they're putting Boston on the Hollywood map, in their own right, but what they need to do is hire women and people of color as writers. They are in desperate need of perspective. STRONGER, directed by a white guy (David Gordon Green) and written by a white guy (John Pollono), is a safe, expected film featuring two strong talents (along with Miranda Richardson, who is aces as Jeff's mom), and does a good job at highlighting Boston patriotism. But impress me it has not.